Green cabbage stains are actually fairly easy to remove whether the stains are fresh or dried. First, remove any extra cabbage pieces that may be lingering on the clothing surface. To do this, use a spoon or a dull butter-knife. You don't want to stretch or damage the fibers of the clothing, so scrape very gently along the surface to remove the remaining cabbage. Next, take a liquid detergent and rub it gently into the area of the stain. Allow the detergent to sit for at least 5 minutes before rinsing thoroughly. If the stain remains, you can try soaking the clothing in cold water for 10 to 15 minutes to loosen the stain. Rinse completely. Repeat these steps until the cabbage stain is completely gone. Usually, the first few steps are all that is needed, but double check that the stained area is completely clean before washing in the dryer. Any remaining stain may set permanently with heat. Red cabbage stains are much more likely to stain clothing than green. The red in the cabbage is a tannin-based stain, but it acts like a red dye. Dye stains are some of the most difficult to remove, so working quickly can save the day. 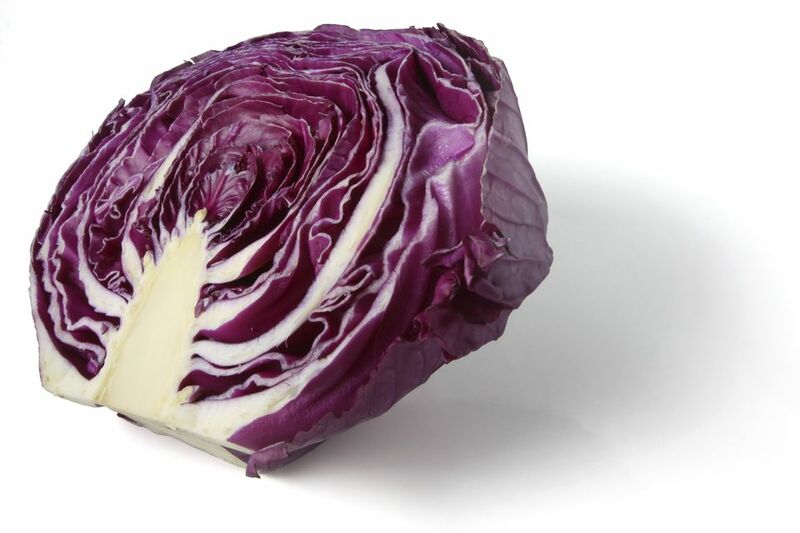 Cooked red cabbage or pickled red cabbage is more likely to stain and leave traces of red on your clothing. When this happens, your first step should be to get any remaining cabbage off of the stain. Next, run the hottest water safe for the fabric type through the back of the stain. Finally, apply a stain remover and wash normally in the laundry. Cabbage is often added to other dishes for flavor. The stains from these dishes are more likely to be combination stains. You'll need to treat all parts of the stain to fully remove it. For coleslaw, the likely staining agent is actually the creamy dressing part of the coleslaw. This protein stain needs cold water soak whether it is old or fresh. Try soaking in cold water for up to 30 minutes to remove the protein part. Next, you'll need to add a hot water rinse and or the addition of a stain remover before washing normally to remove any oil-based stains. The other part of a cabbage stain that is annoying is the smell. Cabbage stains on clothing can take on a very pungent odor that needs to be dealt with quickly. Since cabbage stains often benefit from a cold water soak, simply add a 1/4 cup of baking soda to the soaking. This can help whiten the clothes and remove the odors leaving a fresh stain free piece of laundry.